I told you I was going to make Pumpkin waffles! I found this recipe on Super Healthy Kids, and just slightly adapted it to my liking. I was wanting a good pumpkin recipe, but I feel guilty when the recipe calls for more sugar than it does vegetables. 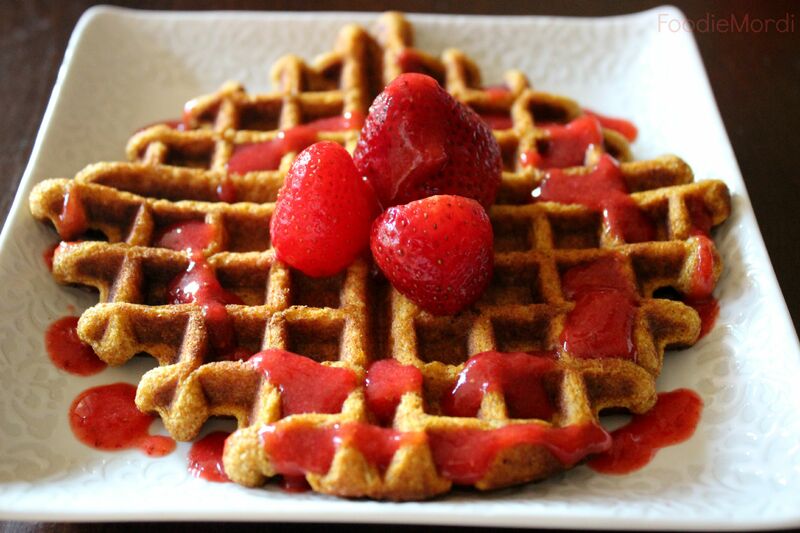 These waffles have a good pumpkin spice flavor, but are not super sweet on their own. Whether you add my strawberry syrup, yogurt or regular maple syrup the sweetness will be perfectly balanced. Now I know that pumpkin and strawberries may seem like a weird combination to you, but it is amazing! I have loved the two together for four years now! When I first went to college, my roommates and I had a bunch of friends over for crepes one Saturday. Being autumn, I figured that pumpkin pie filling would be an awesome crepe filling. It was, but we wanted to add other toppings besides just whipped cream. I had strawberries in the freezer, so we pulled them out and put them on the crepes. It was so yummy! Since then, I have always paired strawberries and pumpkin in sweet recipes. These waffles were no exception. I mentioned that the waffles were not loaded with sugar. 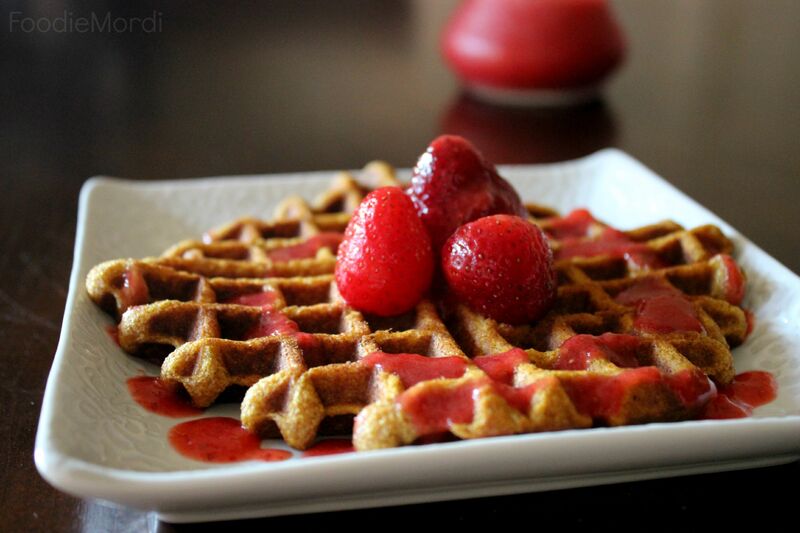 This syrup is also pretty guiltless, as it is just strawberries and maple syrup! You’re getting a serving of fruits and veggies with this breakfast! Wazow! Preheat the waffle iron to your preferred setting. Combine the dry ingredients. In a separate bowl, mix the wet ingredients. Mix the dry ingredients into the wet mixture, and whisk until smooth. 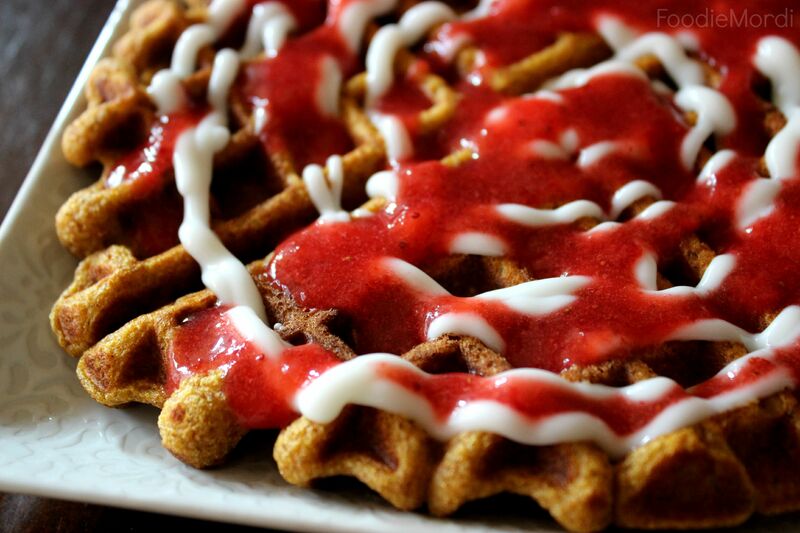 Spray the waffle iron with non-stick spray. Pour 1/3 cup waffle batter into the iron, and cook until golden brown. 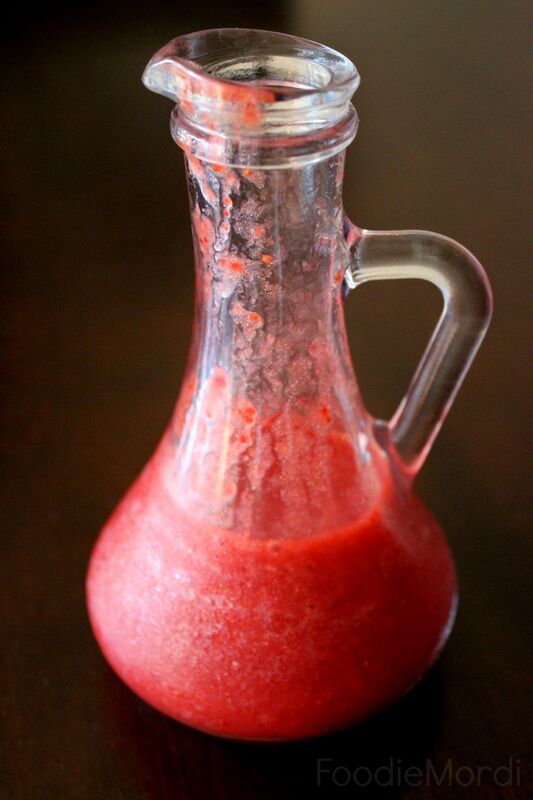 In a blender, puree the strawberries and syrup. Pour the syrup over the waffles just before serving.